“Write about benefits, not features.” You hear this persuasive writing tip all the time. But what does it mean? When you think of emphasizing benefits – showing advantages – and writing to persuade in the same sentence, you may feel like me and squirm with the thought of sounding like a used-car salesman. So you can slip easily into the default of writing about features – facts and information. Most of us write because we want to help people. 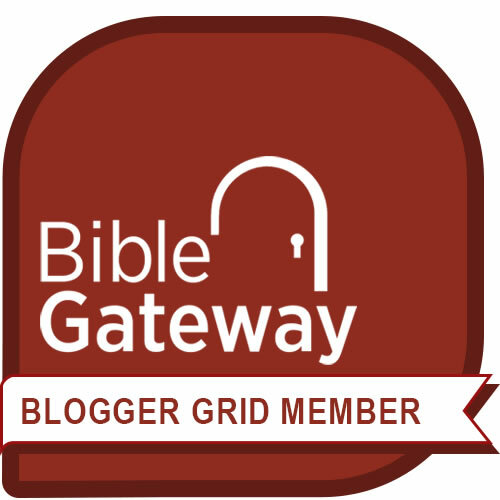 We want to help our cause, our business, or our readers. 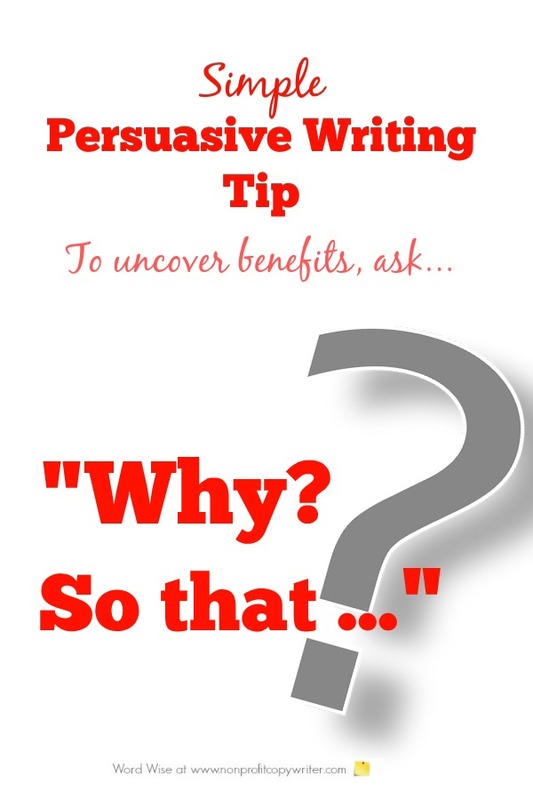 That’s why you can look at persuasive writing as just another way to describe writing to help. You’re writing to explain things to another person by helping them to understand. Maybe you’re trying to help the reader to understand why a particular scriptural principle works. Or to help the reader to take the opportunity to volunteer. Or help the reader to understand which dishwasher to buy or to help the reader see why giving a financial gift to your cause is an opportunity to make a difference. What or why does she need to understand? Why, indeed? It’s a simple question to ask to give you the information you need to help your reader. Just answer the question. It’s the simplest persuasive writing tip I know. The question “Why?” helps you uncover benefits. Answer “Why?” and you’ll help your reader. Let’s imagine you’re writing a social media post to recruit volunteers for an upcoming food drive. You need people to understand that it will be simple and easy for them to help. But how do you convince them to participate when they have so many other ways they can spend their time? If you were writing about the food drive’s features, you’d say that we need people to help collect and organize donations on Saturday morning at 9 AM. All true. But you want to help people understand. “Why should you volunteer for the food drive on Saturday morning? So that fifty hungry families in your town will have enough to eat in January. So that you spend just a morning (or even 30 minutes) helping people without investing your whole day. Now you’ve got a load of benefits for your social media post! Why ask “Why” and answer “So that ..”? So that you you can get a list of benefits to write about. So that you can help people write about benefits more easily.